You’ve spent hours brainstorming, spit-balling, and finally decide on an idea. All that’s left is to bring your marketing concept to life, but where to begin? Creative design is a crucial part of effectively communicating with consumers, but with all of the different elemental decisions, it can get a bit overwhelming. What size should the text be? Should there be more pictures and graphics? Is there too much whitespace? Wait…what is whitespace? Fear not! Tackling design head-on isn’t as scary as it may seem, but before diving headfirst into the specifics, let’s start with the three design basics—typeface, layout, and color. Together, these elements draw emphasis and attention to specific words and content as well as guide consumers through your marketing material. 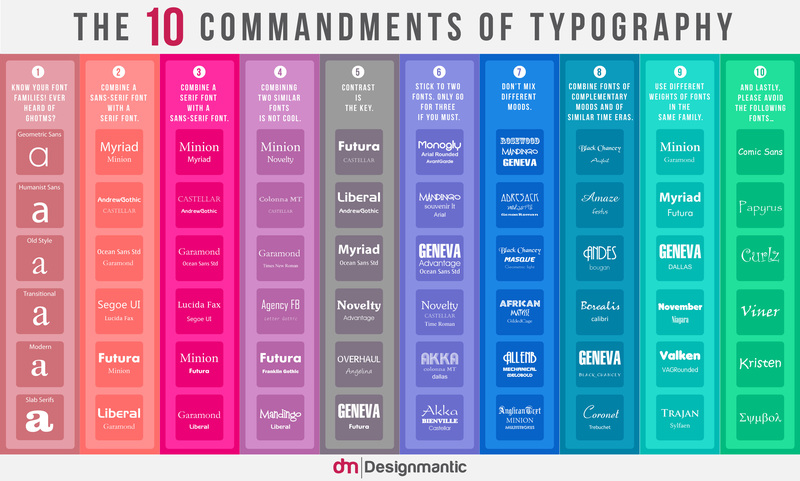 Utilizing different typeface techniques will help your content become more visually appealing and eye-catching. Where does each component fit? How much spacing should there be between elements? What is the right amount of white space? Do we need lines, arrows, or other elements to communicate our message? The key to layout is finding a balance between text, photos, and graphics that is visually appealing and catches your consumer’s attention. This is where grids can come in handy. Grids split your page into even columns and rows that allow you to easily arrange elements in a more organized way and, although they’re not aware of it, makes the layout much easier on the viewer’s eye. Color is in everything we see. When it comes to choosing colors for your marketing materials, the possibilities are endless. Color can be a tricky element, however, since each person interprets color differently. While there is no perfect formula or color combination that guarantees a win, color evokes emotions, changes consumers’ moods, and grabs their attention. Marketing design is more than just putting words and pictures together. The elements of design are vital to your marketing efforts. Without design, you’d be sending your consumers some mighty boring (or overwhelming) content. When combined, design elements work together to deliver a cohesive, well-organized, memorable message to your consumers. Have other questions about creative design? Ask below in the comments!